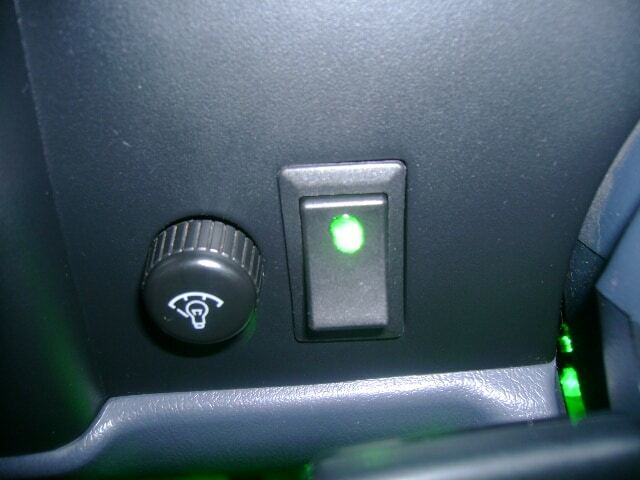 Just like our Scion OEM Style Rocker Switch, except this one lights up! 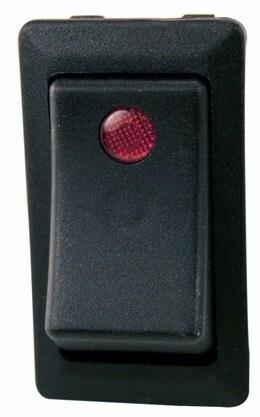 Comes with a built-in indicator light that glows when the rocker is turned to the "on" position. Available in four colors: Blue, Red, Green, and Amber. 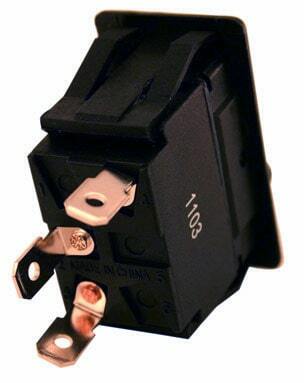 This rocker switch fits perfectly in the switch "blanks" in your Scion xA, xB, or tC. Just pop out the blank from the back, wire this switch up, and pop it in place. 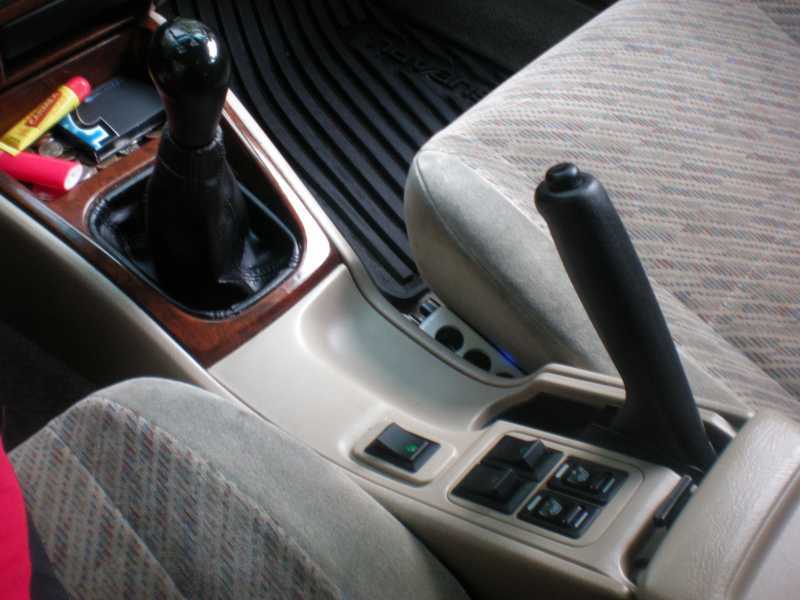 It looks completely stock, and will give your car a very clean look. 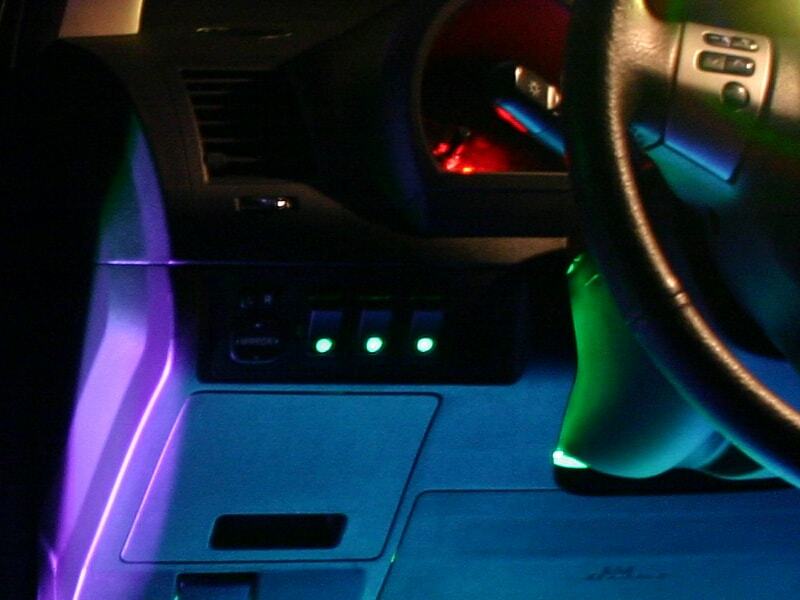 Use it to control interior lights, fog lights, amplifiers, or anything else! Sometimes they'll come with .250" spade terminals. 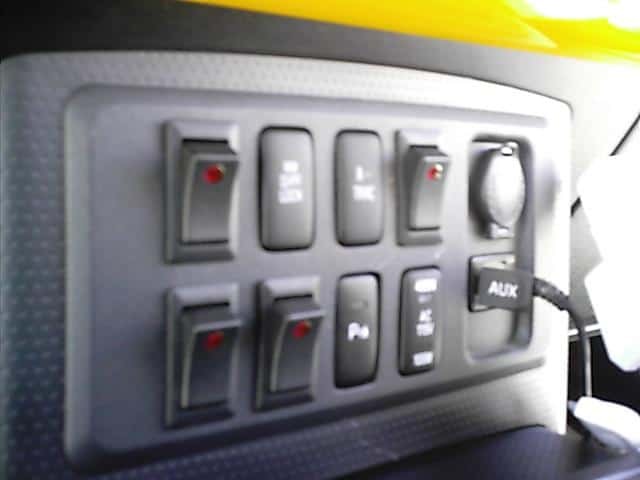 Other-times they may come with screw terminals. It just depends on the batch we get from the factory. Either way, connecting wires is a cinch. On the back of the switch next to the connectors, there are small numbered markings. Still confused? 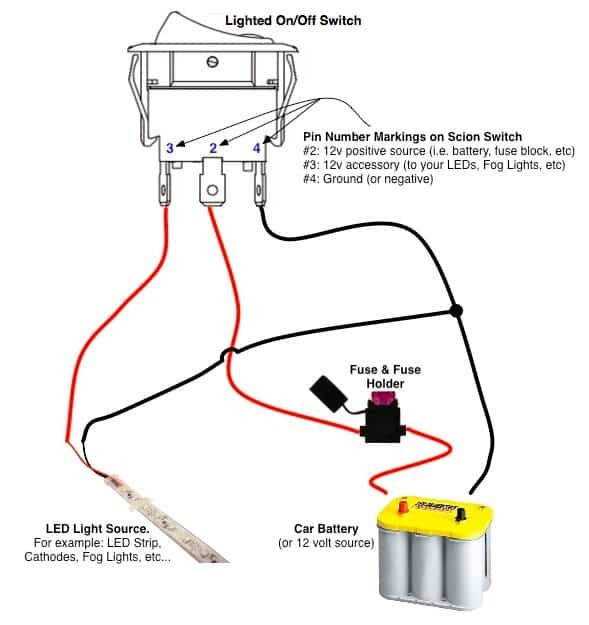 Check out a wiring diagram. Also fits in many other Toyota's and Lexus. 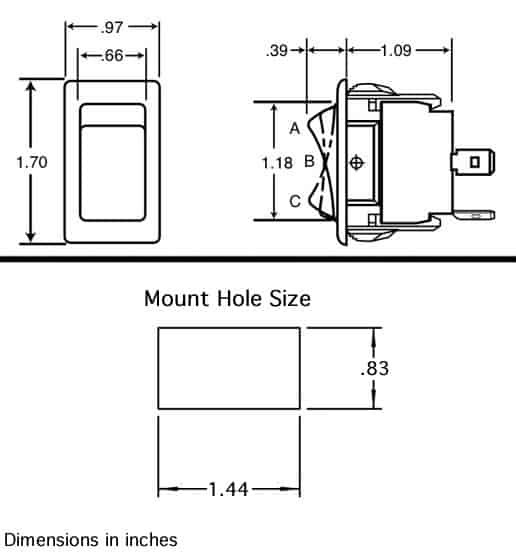 If your vehicle is NOT mentioned above, then we do not know if it will fit your vehicle. 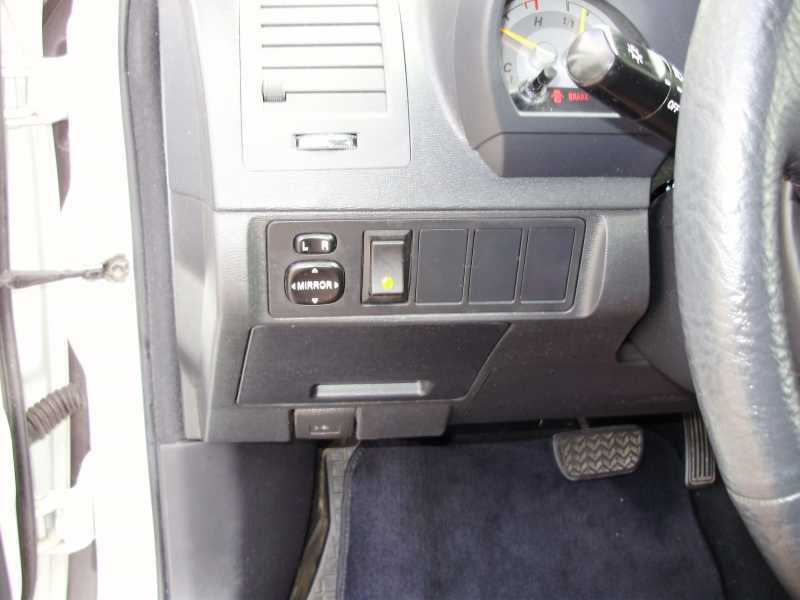 You should try measuring your opening to see if the switch will fit, or just buy it and try. You can always return it if it doesn't. 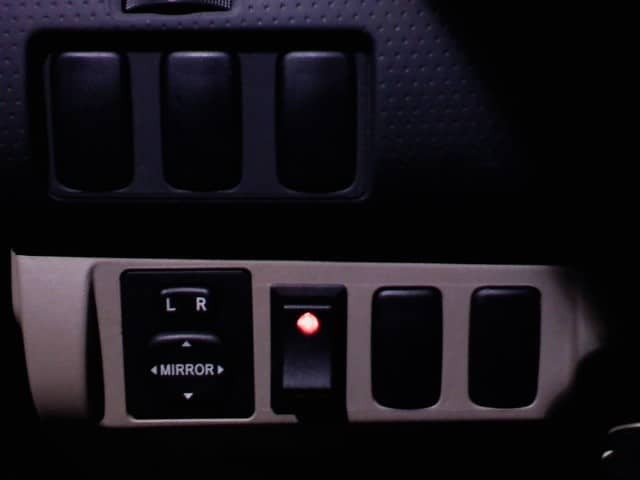 I originally bought this switch many years ago for my 06 xB for foglights. Well that never happened. I bought a 97 tercel with a bad 3spd automatic and swapped in a 4spd auto. 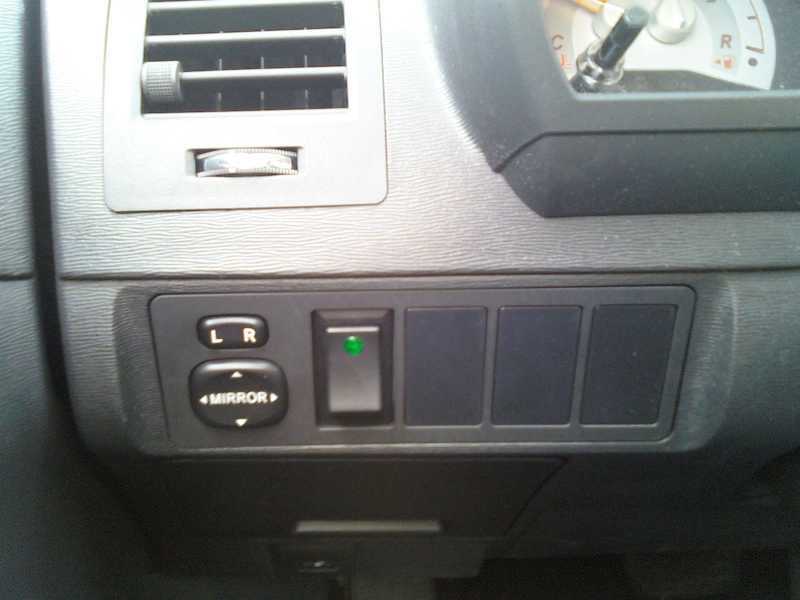 I wired up the switch to control overdrive and used an existing hole in the center console. Fits perfectly and works well. I like how the light is not overly bright as some LEDs can be. 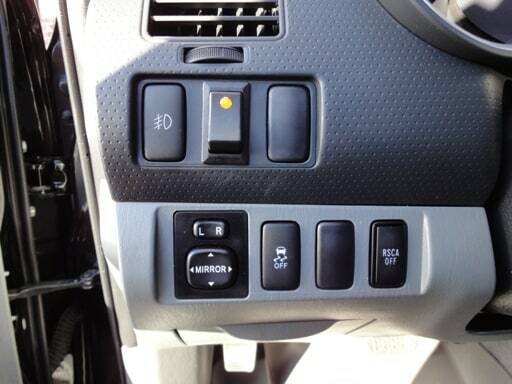 Nice switch, expected LED indicator though. The switch looks and functions great, although it does not use a LED indicator. It is an incandescent lamp with a colored cover. No biggie, to be fair the description does not say that it is a LED. 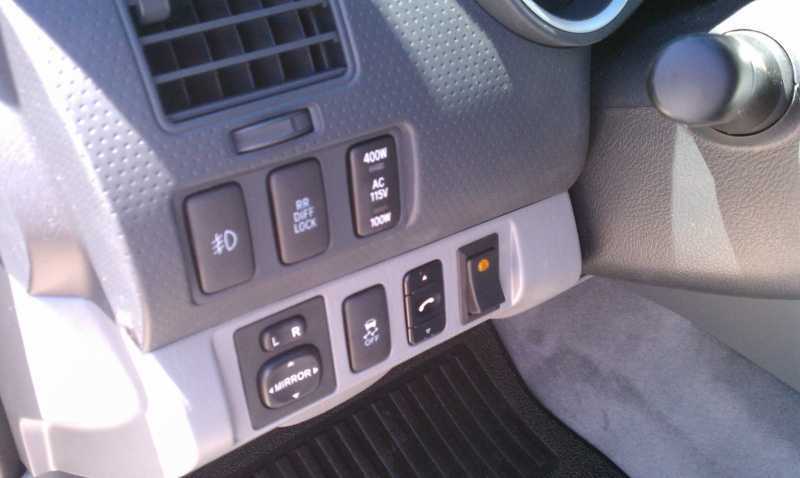 The 2nd Gen' Tundra is a "%&^#" to find add-on rocker switches. 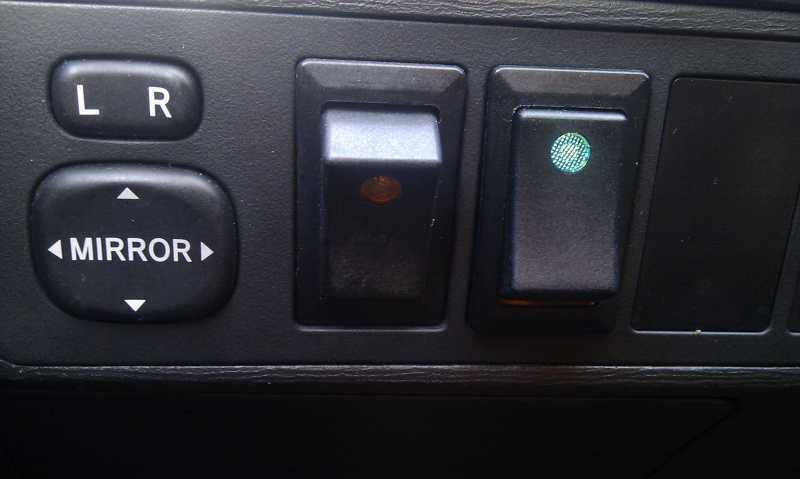 I bought a, Scion OEM Style Lighted Rocker Switch and a Scion OEM Style Rocker Switch - Momentary, for an electric Air Horn/PA. I trimmed the top and bottom of a couple blank holes and the switches snapped in perfect and look great. 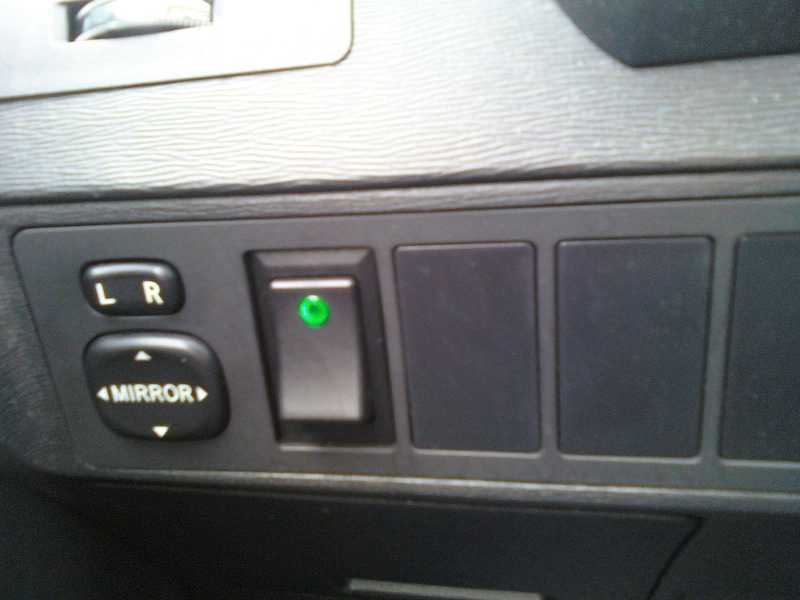 Used this switch to replace poor fitting switch that came with aftermarket driving lights.Aliittle filing on sides and top made for nice tight fit.Mine came with spade ends,wires pluged rlght in. The Red indicator light is bright.Looks like factoryonly better.It shipped fast , 3 days. Will be Buying from Ozniun in the future. 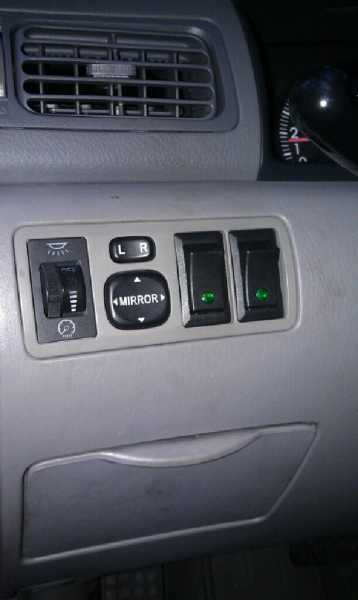 I bought two of these switches for my Girlfriends 2003 Toyota Corolla to replace a blank plate and a small coin tray. 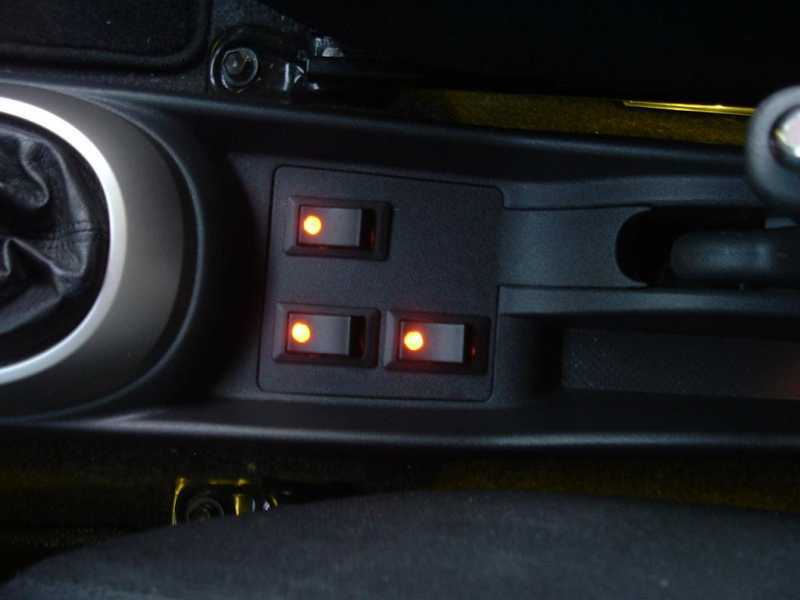 These switches worked great and stock look to them. I posted a photo of them in actions. There was no trimming or cutting required. I'm super happy with the switch's. 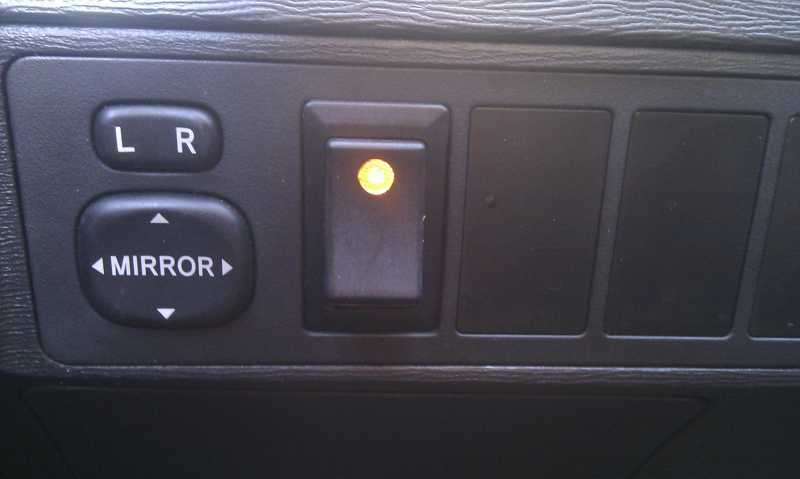 However the only complaint I have is Indicator light is not very bright. Fits my 2003 Tacoma cutouts perfect. Looks very good. Three stars for that. 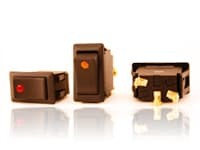 "We have zero inventory for the spade style switches, and have no plans to stock them anytime soon. Sorry about that. You may consider soldering the wires for a more secure connection." I will have to find something else to replace the switches I purchased. Might be ok if you are only powering a few LEDs but I was planning to use a higher current load and the loose terminals will become a weak, hot spot in the circuit. 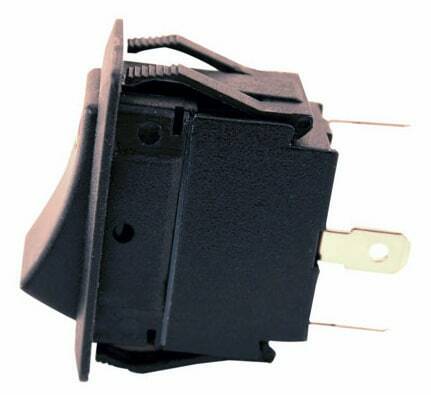 My advice is to find a better quality switch unless you are very careful and the switch is powering a low current load. 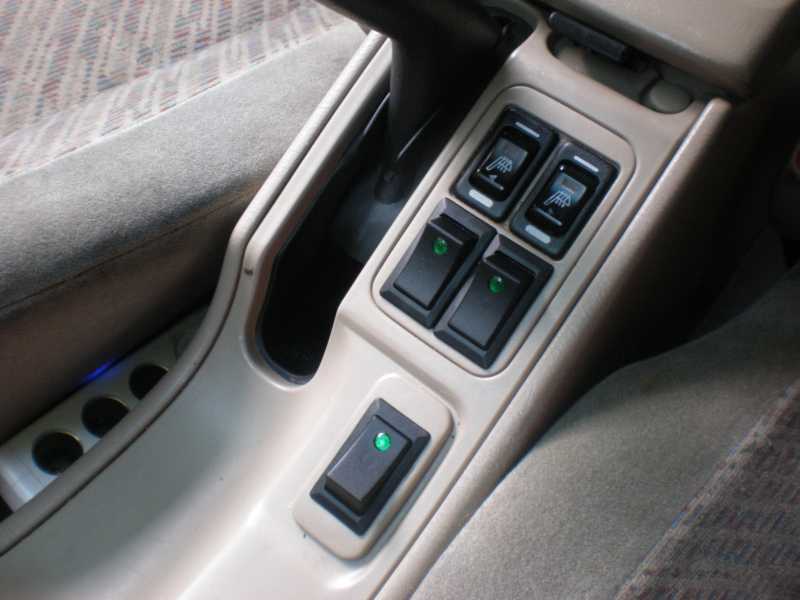 I ordered these in green to replace some cruddy switches from autozone. When I got them I immediatly hooked it up to power and the light didn't illuminate. I tried all of the other ones I ordered and nothing. I called Oznium, and they were very quick to send me new ones. The new ones illuminate but in daytime I can hardly tell if they are on or not. 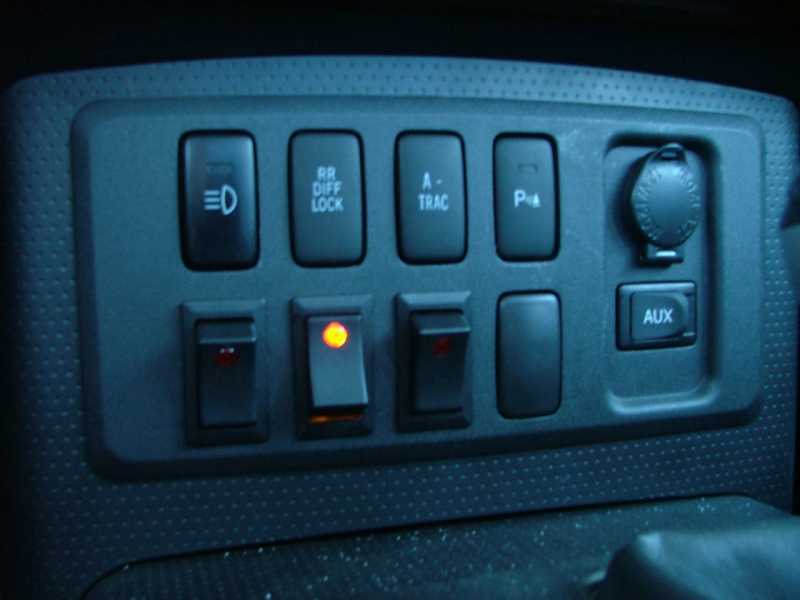 So I am ordering new led's and will be modifieing the switch. Customer service is good but really wish I didn't have to modify it when they should already be bright. I bought 4 Switches. 3xBlue 1xAmber. Scion TC 2008 Fits tightly and works great. Amber switch looks great. 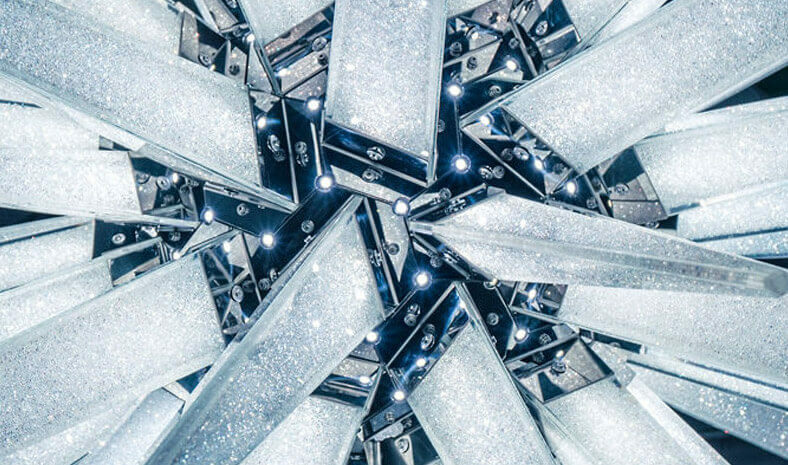 They are not LEDs, but rather tiny incandescent-style bulbs. If you're not happy with the color, you're always welcome to send back for a refund.